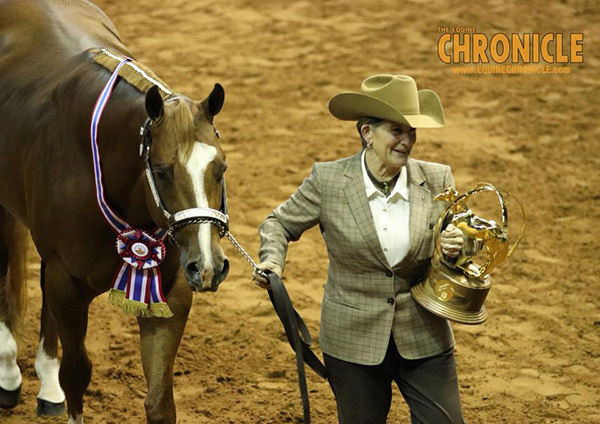 This evening’s classes at the 2018 AQHA World Show crowned several World Champions in a variety of disciplines. 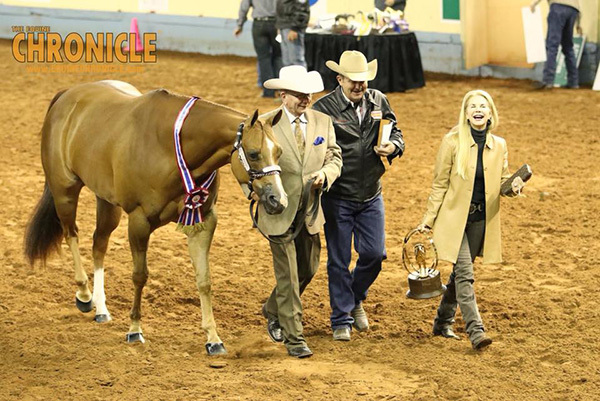 First, Ted Turner led Mytsely to win yet another World Championship title in Performance Halter Geldings. This is Mytsely’s lucky number 13th World Championship title. 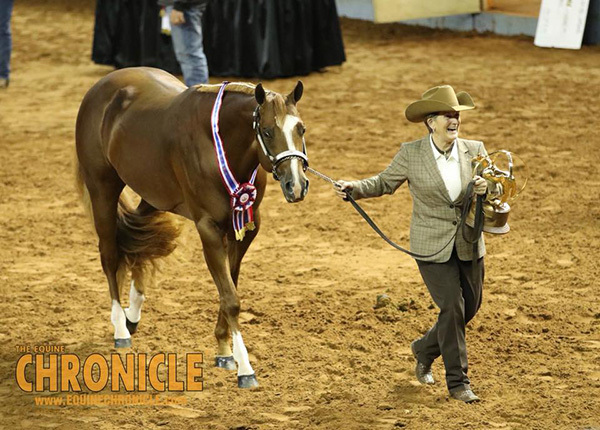 The 8-year-old gelding has earned his many accolades in a wide variety of age divisions, including youth, amateur, and open. 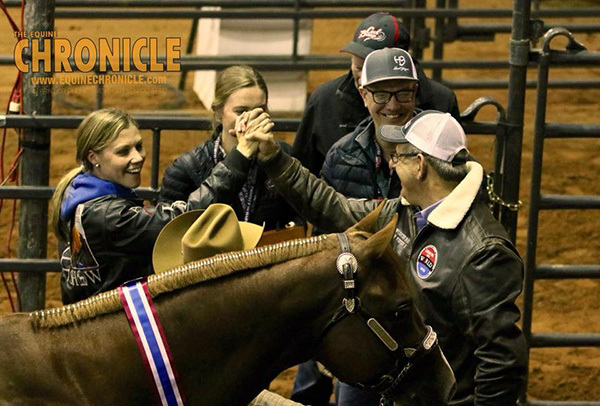 At the AQHA Youth World Show this year, we chatted with Cooper Dobbs, when he won his third title in a row with “Sly.” Then, at the Select World Show this summer, owner, Vickie Strickland, led Sly to a win just months after hip surgery. Cooper’s mother, Johnna, will show Sly in the amateur division next week. The Reserve Champion in the class was Randy Jacobs with Dinnero. Third was Ross Roark with The Debonair Kid. Gretchen Mathes led Figured I’m Invited to win Performance Halter Stallions for Marie-France D’Hondt of Belgium. Gretchen purchased “Ray Jay” for a customer in the spring of this year. Initially, Gretchen’s partner, Gene Spagnola, wanted to geld him. Charlie Cole showed Blameitonthe Alcohol to win Senior Pleasure Driving.